The plant, under development by Canadian Solar, has secured $80 million from Banco do Nordeste. The facility is scheduled to come online in mid-2020. A 380 MW module factory near Sao Paulo has helped Canadian Solar land almost 1 GW of projects. Canadian Solar has secured financing of BRL295 million ($80 million) from Brazilian development lender Banco do Nordeste SA (BNB) for its 114 MW Salgueiro PV project in the state of Pernambuco, in northeastern Brazil. According to the Chinese-Canadian manufacturer, it is the company’s second solar project in Brazil financed by Banco do Nordeste. A finance package of BRL366 million was granted in November for the 115 MW Pirapora II project. The Salgueiro project is part of a solar portfolio of 478 MW awarded Canadian Solar in the latest two A-4 energy auctions, held between December 2017 and April 2018, and includes a 20-year PPA with the Chamber of Electric Energy Commercialization. Canadian Solar plans to start construction this year with completion set for mid-2020. The plant will use more than 286,000 of the company’s BiHiKu bifacial modules, which exceed 400 W in nominal power on the front side. “The Salgueiro project is among the first solar projects under the Brazil A-4 2017 auction to secure BNB’s development funding under the Northeast Constitutional Fund program,” said Canadian Solar president Shawn Qu. The manufacturer secured PV projects totaling 955 MW of capacity in Brazil’s solar auctions. 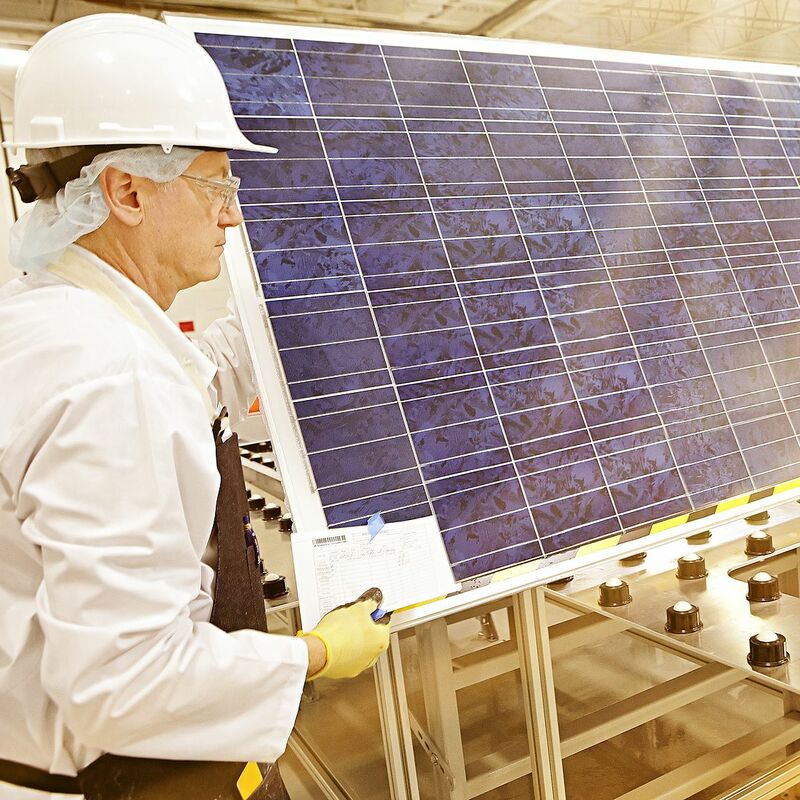 They will all use panels made at Canadian Solar’s 380 MW module factory near Sao Paulo. The factory has given the company a strong advantage in the Brazilian solar market, as projects incorporating locally made components have access to financing from Brazilian development bank BNDES as well as Banco do Nordeste. In a recent report by Brazilian consultancy Greener, Canadian Solar was named the second largest PV module provider in Brazil, with 621 MW of shipments. The largest was Jinko, with around 1.12 GW. Chinese peer BYD – which also operates a panel manufacturing facility in Brazil – was third, with 606 MW of shipments.